First of all, if you haven’t heard of Yelp, you’re missing out! It’s a website/app that you check in & review businesses on, and you get rewarded (with free events, drinks and meals) the more active you are! I thought I would write this post as I recently got an email from them saying I’m on the radar to be a member of “the elite” (sounds so fancy eh!). 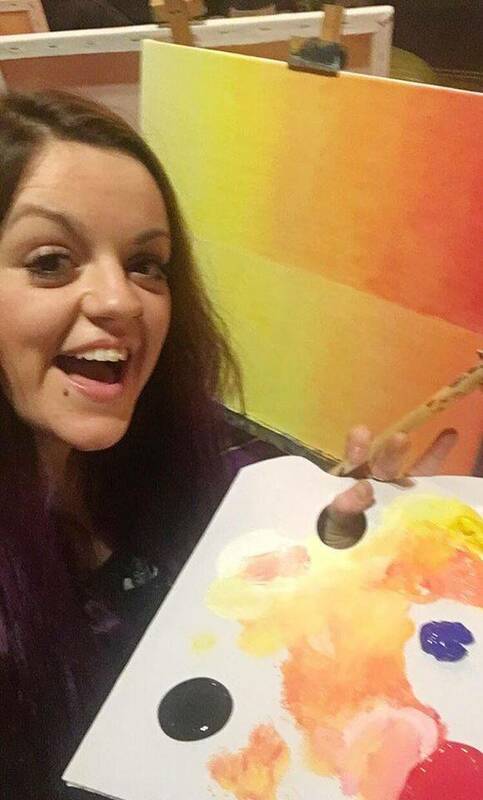 When I RSVP’d for Yelp and PopUp Painting present: Newbie and Craft Night at Urban Meadows and was approved to go, I was quite excited. I’ve not been using Yelp for all that long (hence the newbie event title), but I really love the community vibe and how friendly everyone is! 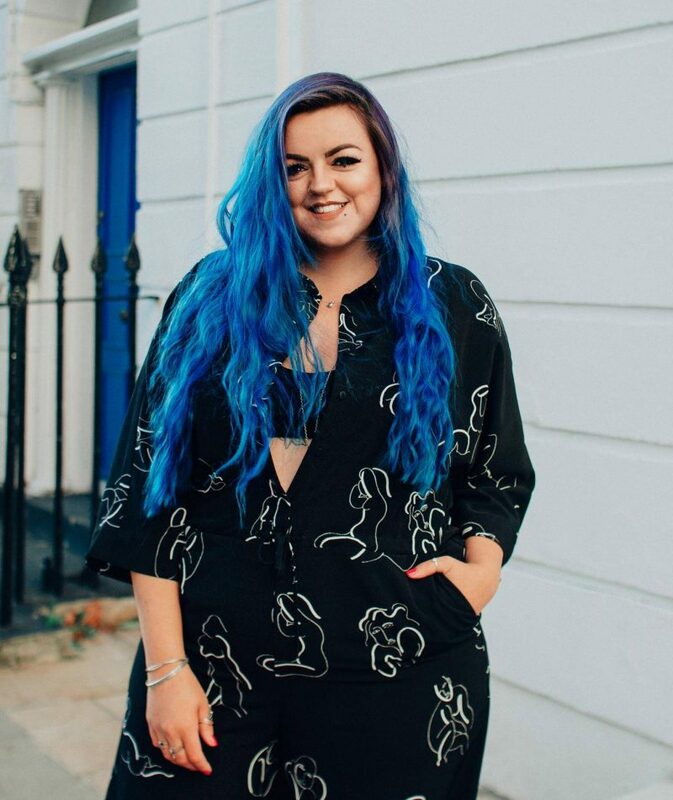 I think it could be a great way to meet new people in a city you’re not overly confident in & discover new places you haven’t heard of before – I wish I knew about it when I first moved up to London! I hadn’t heard of Urban Meadows before, so it was a totally new to place (near Queensway tube station & just next to Hyde Park) for me to *almost* get lost trying to find. 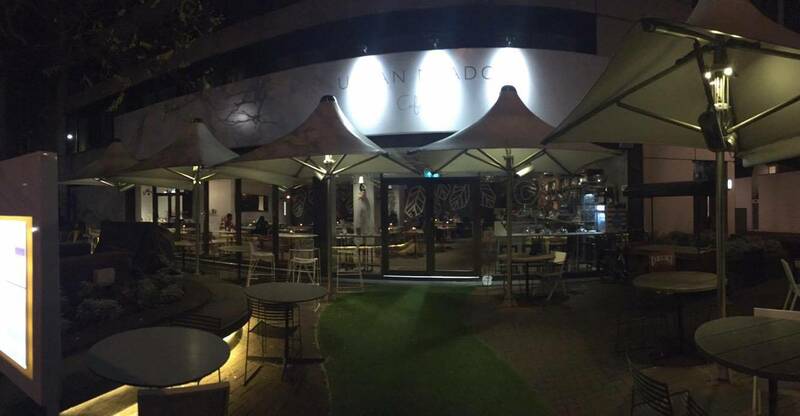 Sadly it was a dark and cold evening, so the outside photo is a bit pants, however I am sure the outside area would be very nice on a sunny afternoon! Walking into the lovely venue, and being presented with a flute of prosecco was a particularly nice touch. 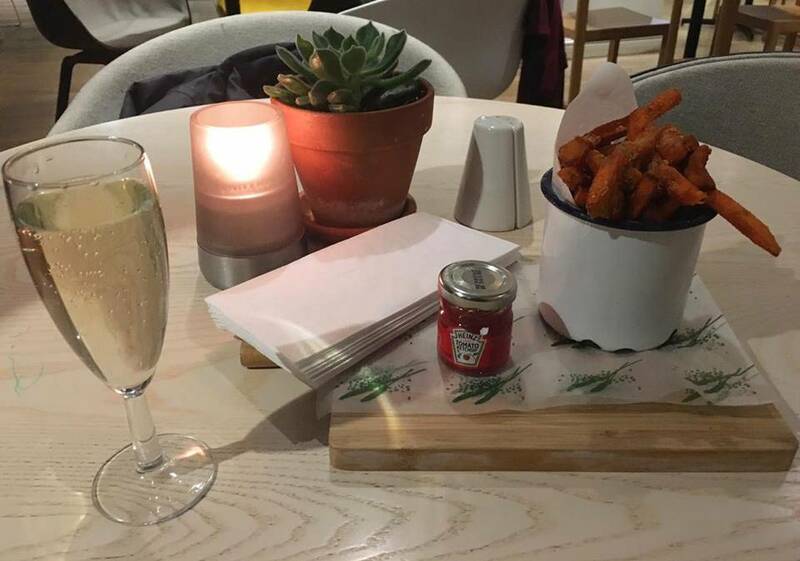 I had the prosecco with a side of sweet potato fries because I just cannot resist sweet potato if I see it on a menu (guilty!) and these fries were very crispy & tasty! 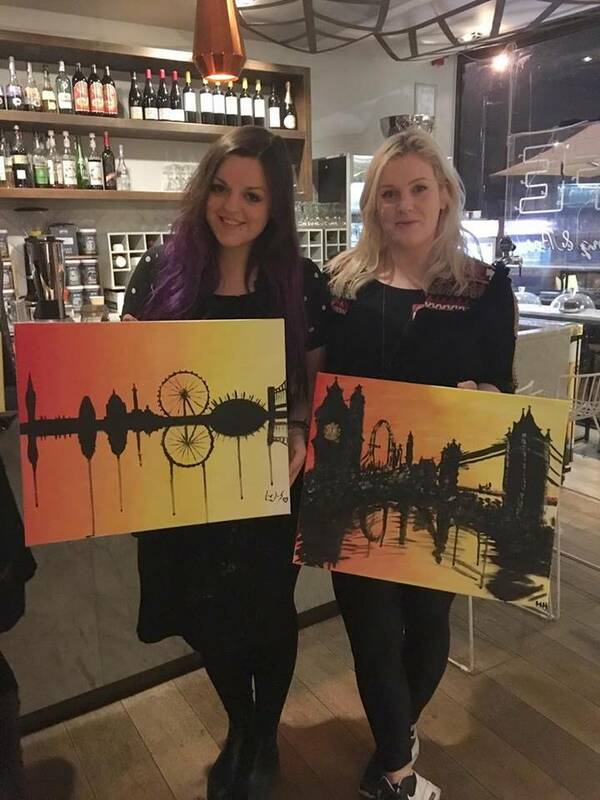 I went with my friend Hannah – check out our paintings! 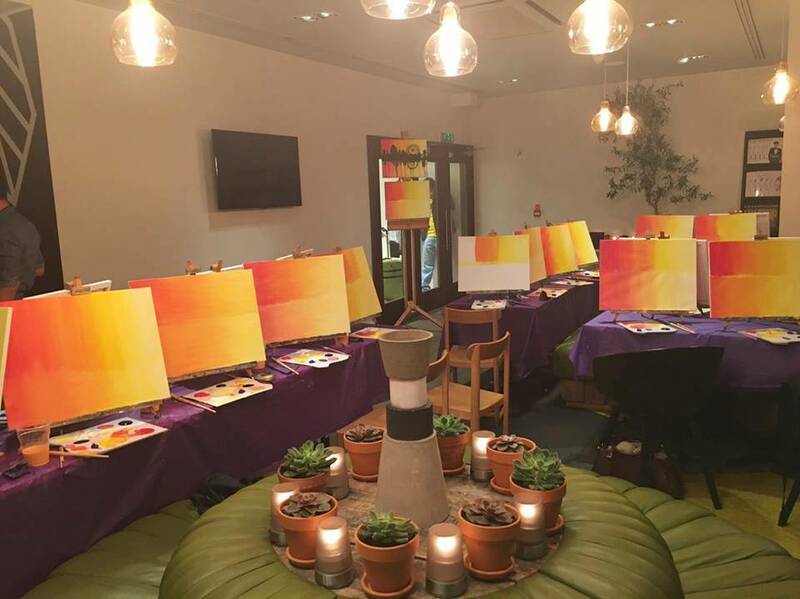 Hannah’s was particularly amazing & totally different to everyone else’s, such an arty babe!